With an endless array of functional gadgets and gorgeous baby paraphenaila out there, it can be really hard to figure out what to invest in for your baby. It's so easy to end up with a ton of (EXPENSIVE) things that you didn't get enough use out of to justify the cost. Then again, there is also a lot of cheap crap out there that looks like a great deal, but really isn't...stuff that falls apart long before it should or leaves you frustrated with it's actual functionality (or lack thereof). There are also the things you will skip thinking, I don't NEED that, and end up really wishing you'd had it because it would have made life so much easier. Here are the top four baby items that I whole heartedly believe are worth spending your hard earned money on. With my first baby I thought all I'd need was a crib. WRONG. In those first few weeks of new motherhood, I found it really hard to get any rest myself when I had to get up every few hours to retrieve baby from the crib. The second time around I got wise. I bought a co-sleeper that attached to my bed. It was so great to have my baby right there next to me, but on his own sleeping surface. And it had wheels, so when my legs got so swollen (thanks pre-eclampsia) that I couldn't climb into the bed, I wheeled him out to the living room where I could sleep on the couch. It was worth every penny. 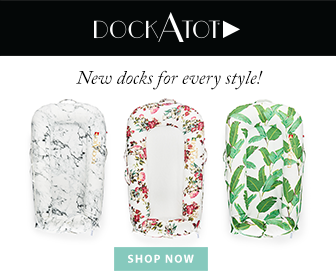 If I had to do it again, I'd get a Dock-A-Tot. Do yourself a favor...skip the travel system. If there is one place to splurge on a baby gadget, the stroller is it. Go for the Mercedes, not the Kia. After a frustrating experience with a Chicco travel system, I went for the Baby Jogger City Versa on the second go round. The maneuverability was incredible. And when the frame started wobbling on me after 2.5 years, Baby Jogger replaced my discontinued Versa with an upgrade to the City Select. My son is 3 and a half and we still use it every day. My sister has a Thule that is pretty great too. She does a lot of hiking, and it handles off road really well. If I needed a double stroller, I'd probably go with a BOB. The are so much easier to push (and run with) when you have double the weight. Walk thru the baby section of Target and Babies R Us and you'll be overwhelmed with options for diaper bags. As pretty and functional as they look, 9 times out of 10 they fall apart before your baby is 6 months old. They also aren't likely to clean up well or neatly hold everything you might need (especially if you're an over packer like me). I'm a HUGE fan of Ju-Ju-Be diaper bags. They are super durable, MACHINE WASHABLE, donated in an antimicrobial, and functionally well thought out. You can go read all about them here. I loved the Be All for the first year. It held ALL my junk like a champ. (Now it's my range bag...All the old guys at the shooting range get a huge kick out of how girly I am.) After the first year I downsized to the Be Classy (shown here). It's so smart and beautiful. I'm still carrying it regularly despite no longer really needing a diaper bag. Baby wearing is awesome. Having your baby close, but your hands free? Invaluable. Keeping strangers from touching your baby when you're out? Totally! But I was SO disenchanted with straps, buckles, yards of fabric that took 45 minutes to wind around my body (while the ends dragged all over the ground...gross), and big bulky carriers that were too cumbersome to keep with me all the time. I initially found baby wearing to be inconvenient, time consuming, uncomfortable and HOT (Hello...Florida!). Then I discovered Sakura Bloom ring slings and my game was changed. Quick to pop on, easy to transport (aka, shove into a diaper bag), and non-claustrophobic. Not to mention, they are so beautiful and feminine. I loved it so much I bought a second one. BONUS SPLURGE: A GREAT PHOTOGRAPHER! Come on, you know I couldn't end this post without a shameless photography plug. But in all seriousness, I really regret not hiring a birth and newborn photographer when my first baby was born. It's part of the reason I do what I do. I didn't dare make the same mistake when my second came along. I treasure those images so much, because his birth didn't go as planned. I didn't get to hold him or even see him for more than a few seconds before he was whisked away for a stint in the NICU. I'm not sure i would remember what he looked like in those first moments if I hadn't had someone there to capture it. Sure, my husband took pictures and video on his phone, but he didn't back them up and we lost them ALL. He was a month old before I felt up to doing a newborn session, but I am so glad I didn't just skip it all together. I love having those candid pictures of my family at home and all of those little details of my son's infancy. Those moments pass you by so quickly, usually in a sleep deprived haze. You can never go back and capture them again, so it's WORTH the expense. Just do it. What baby items were you glad you splurged on? Is there anything you regret NOT splurging on? Share your words wisdom in the comments.